Thank you. Happy with the service. Wonderful seller. Super fast delivery. As described. Very pleased! AWESOME seller!!! FREE Shipping!!! Arrived 5 days early!! Instead of Foo Fighters I received 101 Running Songs disc 4. I put it in my player technology, and it spins really fast & Foo music comes out tha speaker box things. Who could ask for more? Thanks Dave Grohl! Who knew Nirvana had two great song writers? 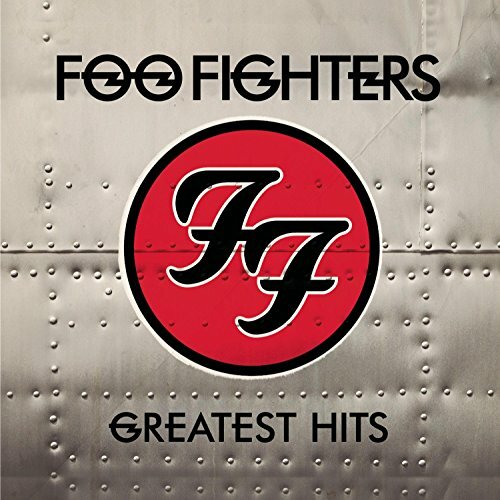 The tracks on Foo Fighters Greatest Hits attest to the writing of Dave Grohl. From his first efforts playing all the instruments on "Be Me" & "This is a Call" to their later hits as a full band ("My Hero", "The Pretender", "Best of You", and "Everlong"), this is a good retrospective of the band. Of course there are ome great songs missing, but most of the tracks radio fans would want are here. As are two previously unreleased tracks. Well worth the investment if you do not have the albums. love the foo fighters...great price..
One of my favorite albums, covers the Foo Fighters greatest hits.